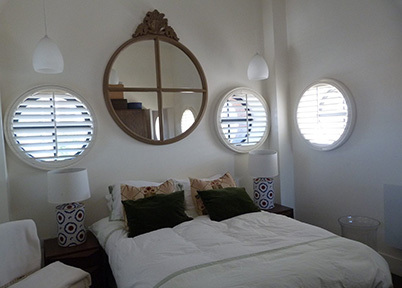 Interior shutters or interior window shutters have been popular the world over, for many hundreds of years. 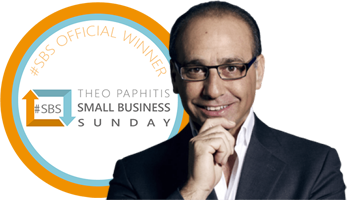 They are the ideal window treatment for those who are looking for a stylish and contemporary, low maintenance way in which to moderate the amount of sunlight being allowed into a room. 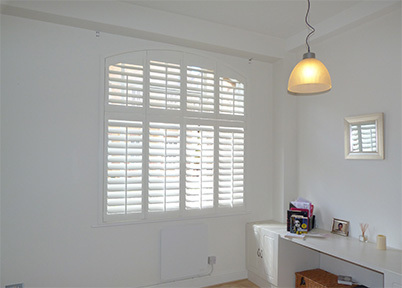 The Bespoke Shutter Company, based in North London, supply and install a wide range of interior shutters including plantation shutters, solid shutters, shaped shutters, bathroom shutters and conservatory shutters made from a range of hardwoods and engineered woods. Interior window shutters are available in a very wide range of colours and finishes, to complement any room of your home. You can have natural wood interior shutters made from cedar wood or interior window shutters made from a vast range of other woods including engineered woods and coated woods. Once installed, your interior shutters need never be removed. You don’t have to take them down to clean them. Your interior window shutters are low maintenance since all you need do to keep them in pristine condition is occasionally give them a wipe down with a damp cloth. The popularity of plantation shutters and their widespread usage means that an image of them is likely to spring to mind as soon as the name is mentioned. You will doubtless be familiar with the clean, straight lines of the wooden slats and the wonderfully dramatic light and shadow effects created as the sunlight is reflected or deflected from them. Plantation shutters are the perfect window dressing. From the outside, your home looks as neat and tidy as it does on the inside. With plantation shutters, there is no inside out or back to front look, like there is with curtains or drapes. The front looks the same as the back and therefore the outside of your house looks just as good as the inside. When compared to the neighbours’ homes, with their untidy, colourless fabric drapes, your house stands out as really contemporary and on trend. Plantation shutters are also great from the point of view of security. A persons’ eyesight only works in straight lines, therefore it is impossible for anyone to see over the tilt of the slats. This means your plantation shutters can be effectively closed whilst at the same time, allowing a more than adequate amount of light into the room for you to read, watch television or cook by. Solid shutters are different to plantation shutters in as much as they do not have rotating or moveable slats. A pair of solid shutters are literally just two pieces of wood which have been treated, cut to size and shape, and fitted to the inside of your windows. Solid shutters look wonderful in period buildings that would previously not have had curtains. If you are restoring an old building to its former glory, then solid shutter are the perfect answer. And these days, with the fashion for all things retro, solid wooden shutters are being fitted to newer home for an unusual and eye catching look. Shaped shutters are interior window shutters that have been cut to shape to create a certain look or to fit the size and shape of an unusual window aperture. Most often you will see shaped shutters up against the windows of a conservatory or sunroom. This might be because the building has had to take on a rather unusual shape and therefore has quite unusual or bespoke windows. Shutters for this type of room would have to be shaped or made specifically to fit the room. Shaped shutters can also be fitted to the insides of windows in very old buildings that have been the subject of sympathetic conversion or restoration. Old churches, chapels, lighthouses, police houses and fire stations often fall into this category but they can just as easily be fitted to period houses. Shaped shutters are available in standard shapes like the circle and the triangle, but they can be tailor made to fit whatever sized or shaped window aperture you have. Conservatories are mostly made from glass. Large and small glass panels are slotted in to place on a framework, which is then pieced together and attached to the side or back of a house. The large glass content of the conservatory means that it will attract a lot of sunlight, often too much sunlight. This is where conservatory shutters come in to play. Fitting conservatory shutters to the glass panels of your conservatory or sun room will enable you to block out or reduce the amount of sunlight coming through the windows from any direction. This means that whilst it might still be very bright in your conservatory, it won’t be unbearably hot.